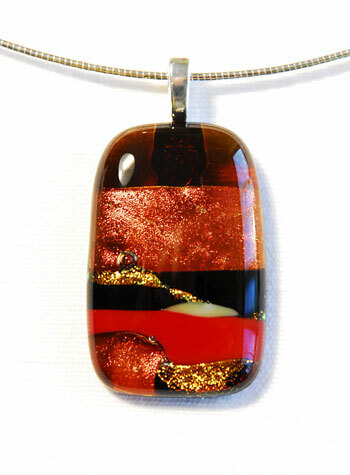 Each beautiful linear pendant is handmade in Aurora, Ontario Canada and is one of a kind. With my ‘Landscape Technique‘ I create layered paintings of glass using horizon lines to establish the meeting of land, sea and sky. Strategic layering of hand cut opal, cathedral and dichroic glass means the final product, like a painting, is built up over time. The resulting rich hues are intricately informed by the colours lying beneath them.